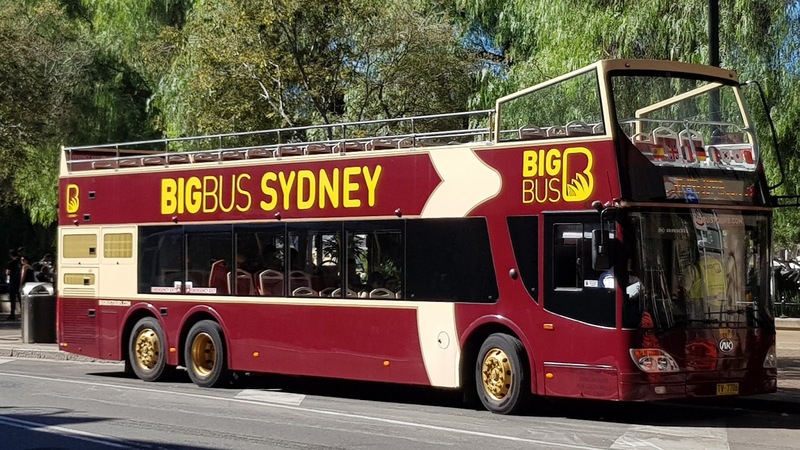 Big Bus Sydney is a hop on–hop off tourist bus service that operates open-top double-decker bus tours around the Sydney Central Business District and out to Bondi Beach. It is seen here at the first stop on George Street, at First Fleet Park near Circular Quay. I like that shade of red. We have similar buses here, especially now that the weather's warming up. That top deck would be a great place to take photos. Bet they give great tours. Yes, I've just discovered this bus company operates in London too. Looks like a cheerful ride for a tour. Our 'country' family was thankful for this type of service in the 'city'---Chicago.